We’re right in the middle of the hottest period of the year here in Southern California, and high temperatures don’t usually start to drop until late September or even October some years. That puts your air conditioner to the test each and every day. 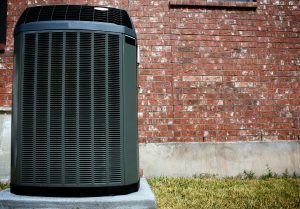 Any steps you can take to cut down on the costs involved without skimping on the cool temperatures you need should be pursued. For most of us, that means little steps like setting the thermostat a little higher than we normally would and dressing in lightweight clothes around the home. But if you’re interested in a more formal approach to the issue, your friendly technician can help. More specifically, we recommend zone control systems for larger homes that use centralized air. They entail a start-up costs, but over time, the benefits they provide can more than make up the difference for that initial investment. Here’s a quick breakdown on how it works. Your duct system branches out from the central heating and air conditioning system into the various sections of your home. Zone controls set up a series of shutters at key points in the ducts, dividing your home into section. Each shutter can be opened and closed independently of the others, allowing you to adjust the temperature in different sections individually instead of the whole house all at once (which is the case with most centralized systems). Zone control systems provide two main benefits, both of which are extensions of the same basic concept. If you extend that premise, however, the real advantage to zone control becomes apparent. You can simply turn off the air in parts of the home you aren’t using – such as bedrooms, for instance, which rarely see use in the heat of the day – while keeping it running in parts of the home you are – such as the kitchen or the living room – you can cut down on your monthly cooling bills considerably. It also reduces wear and tear on the system, which lowers the risk of a breakdown, and when applied over time, it can even extend the life of your system well beyond the expiration of the warranty. Here in Whittier, CA, zone control systems can be installed, maintained and repaired by the friendly pros at Greenleaf Heating & Cooling. If you think such a system makes a good fit for your home, give us a call today to set up an appointment!